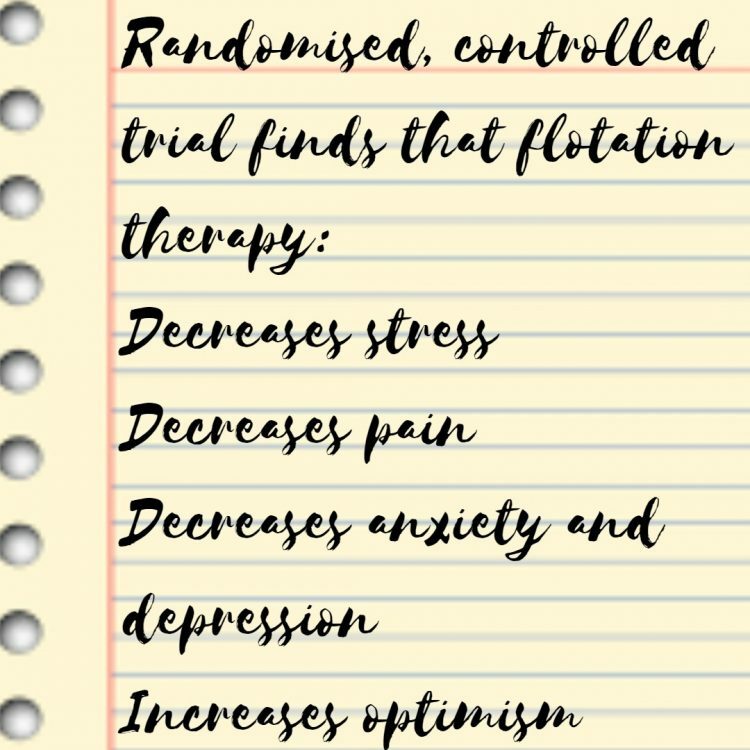 This recent study is one of the best I’ve read so far on flotation therapy. It hits the gold standard of being both both randomised and controlled; this makes the results far more likely to be correct. It is also one of the first studies that uses a fairly big sample size; 65 participants… all good so far. These participants were either put in a group which received 12 sessions of flotation therapy over 7 weeks or were assigned to to waiting list control group. A self-estimation instrument regarding an individual’s energy and stress experience was used to measure the effectiveness of flotation therapy. Significant decreased experienced worst pain. Significant decreased experienced anxiety and depression. Surely you’ve got to be sold on it by now folks?